Acadia University is one of the few remaining undergraduate jewels in the Canadian post-secondary education landscape. Situated in the hub of the Annapolis Valley in the beautiful community of Wolfville, for 180 years this extraordinary place, comprised of extraordinary students learning in extraordinary ways and taught by extraordinary professors, has touched both heads and hearts in equal measure. As a member of the Maple League of universities, Acadia is committed to the delivery of a high quality, 21st century liberal education within a primarily residential, undergraduate learning community. Founded in 1838, Acadia University is one of the oldest and most respected universities in Canada known for providing a premium high quality, high engagement primarily undergraduate student experience. Located in Mi'kma'ki, the ancestral territory of the Mi’kmaq nation, Acadia is just a one-hour drive from Halifax, Nova Scotia, and is an integral part of the quintessential college town of Wolfville, overlooking the Annapolis Valley and the Bay of Fundy. With an enrollment of approximately 4,000, Acadia attracts students from every province and territory and more than 60 countries to take advantage of strong academic programs, a curriculum that encourages personal development, and collaborative learning experiences led by award-winning professors. And, as the University embarks on the launch of the next iteration of its strategic plan, Acadia 2025, it is an exciting time to join the leadership team at Acadia. Acadia is seeking an extraordinary individual to lead a new strategic approach to student recruitment, success and wellness within the rich learning and living environment that is built upon the incredible traditions of this unique university. As Acadia’s new Vice-Provost Students, Recruitment and Enrolment Management you will join the senior leadership team and help deliver on this exciting and challenging opportunity. Reporting to the President and the Provost, and working with talented teams in recruitment, student services, and enrolment services, the Vice-Provost Students, Recruitment and Enrolment Management will build innovative recruitment and enrolment management strategies aimed at enhancing the delivery of an outstanding student experience leading to exceptional retention, success, and wellness. The Vice-Provost will effectively leverage current IT and social media trends within the context of communication, marketing and branding and incorporate effective platforms into strategies to meaningfully connect with prospective and current students alike. The Vice-Provost will provide inspiring leadership in ensuring that Acadia maintains its commitment to strong student recruitment, increases its attention to student retention, and develops its new integrated approach to Strategic Enrolment Management and Student Affairs. 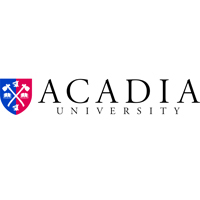 Based upon Acadia’s commitment to educating the whole person, this new approach will be more firmly focussed on student success and wellness, integrating knowledge and personal development throughout the student experience, and ensuring that Acadia’s students are supported from their first point of contact through to graduation and beyond, and that our students can achieve their aspirations in career and life. We are also looking for someone who can contribute significantly to the senior leadership team thus playing a key role in the stewardship of the university. A few of the characteristics we require include superior relationship building skills, authentic leadership, the ability to translate vision into actions and a strong sense of compassion, with the ability to understand the needs and perspectives of our increasingly diverse and inclusive student body. The ideal candidate will have an impressive and verifiable track record of success in the areas of learner support, enrolment management, and recruitment. We are looking for someone who believes in the Acadia model of education, wants to lead in keeping this outstanding learning experience at the leading edge of undergraduate education in the context of the modern world in which we live, and wants to be part of this extraordinary community of scholars and learners. If you have a passion for Acadia and the background we are seeking, we want to talk to you. Give us a call and let us tell you more about Acadia University and why you should be excited and enthralled by this opportunity. You can reach Jackie Nguyen, Laura Godsoe, or Andrea Forbes-Hurley at 902.424.1148 or, if you already know this is the right position for you, please apply online by clicking “Apply Now” on the button below. Acadia University invites applications from all qualified individuals and values a diverse and inclusive workplace. The University is committed to employment equity and diversity in the workplace and welcomes applications from Aboriginal people, African Nova Scotians, persons with disabilities, visible minorities, women, and persons of any minority sexual orientation or gender identity. Candidates who identify as a member of one of the afore mentioned groups, and who wish to have the application considered as such, should complete and return the Employment Equity Voluntary Self-Identification Form that will be provided by KBRS upon application. The university will provide support in its recruitment processes to applicants with disabilities, including accommodation that takes into account an applicant’s accessibility needs. If you require accommodation because of a disability or for any other reason during the interview process, please contact KBRS. KBRS is Atlantic Canada’s leading human capital consulting firm with over 40 years of experience in recruitment, career transition and human resource consulting.